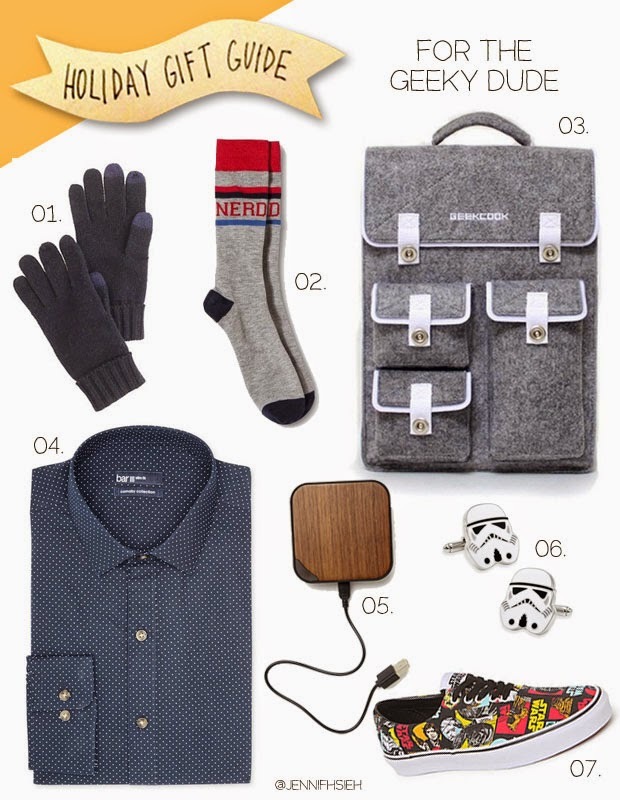 This gift guide may or may not be based off of my own man back at home. But in risk of him thinking he's going to get all this swag for the holidays, it's not based off him at all. Well, except for all the Star Wars goodies. I couldn't resist throwing them in there because, I mean come on, it's a classic. I feel like Star Wars goodies are a safe choice for any dude. Stormtrooper cufflinks make me lol in joy.